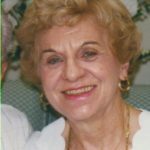 Regina M. Arthur, 90, of Vandling and formerly of Lyndhurst, NJ died Wednesday at Allied Service Hospice. Her husband of 69 years is David E. Arthur. Born in Simpson, she was the daughter of the late John and Josephine Sarnoski. 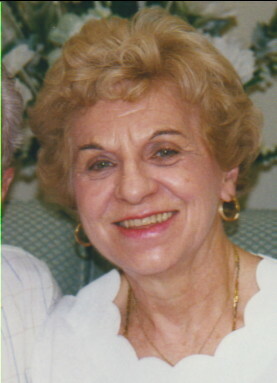 Regina was a graduate of Fell High School, Class of 1946. Prior to her retirement, she was employed by Economics Laboratory, Avenel, NJ. She was a member of St. Michael’s Church, Simpson/ St Rose Parish. The family would like to thank Doctors Tomazic and Speicher and a special thanks to nurses Cheryl & Joan and aids, Cindy & Trish and the entire staff of Home Health Care Professionals and Hospice, whose care and professionalism was so outstanding. Regina is also survived by a daughter in law, Margie, Indianapolis, IN, two brothers, Val, Binghamton, Ny and Francis, Carbondale and a sister Matilda, Schenectady, NY. She was preceded in death by two sons, baby Joseph and David S., five brothers, Lt. Joseph, Congressional Medal of Honor Recipient, John, Charles, Walter and Ted. Seven sisters, Nellie, Sally, Agnes, Jennie, Martha, Helen and Victoria. The funeral will be Monday with Mass of Christian Burial at 9:30 AM in St. Michael’s Church, 46 Midland St., Simpson. Interment will be in Canaan Coroners Cemetery, Waymart. The family will receive friends at the church from 9:00 AM until 9:30 AM. By her request, there will be no viewing.